Lucky or unlucky? For those of you that have followed my Goonyness this was Baby Bertha kit bash #13. As such I wanted to play it a little safer with this one so I choose a simpler design. 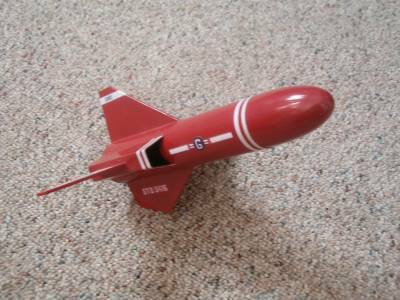 Again this is not a kit review of the original Estes Advanced Target Drone (Kit #1913) [1983-1985]. It is yet another of my many kit bashes. All fin patterns and decals came from http://www.spacemodeling.org/JimZ/estes/est1913_AdvancedTargetDrone/est1913.pdf. 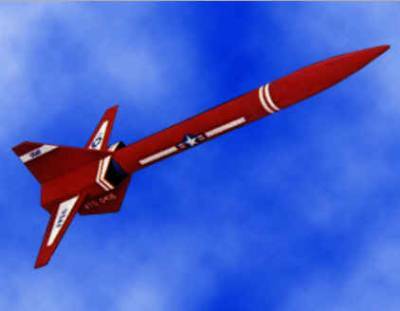 The major difference being that mine is a Goony version of the Advanced Target Drone and as such is built with a BT-60 tube instead of a BT-50 tube that was used in the original. As stated this is once again another kit bash so the main components are as follows. 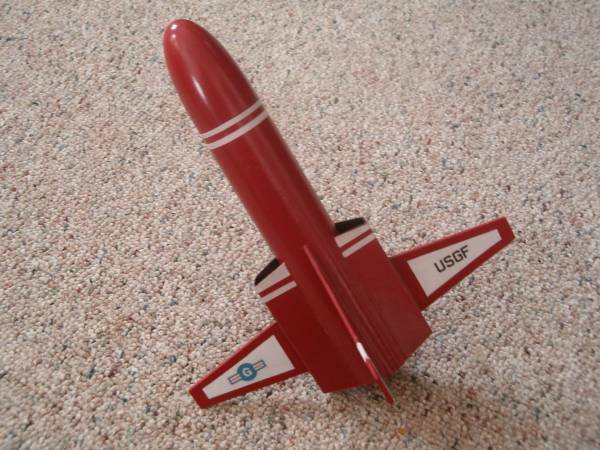 Decals from the Baby Bertha were discarded and balsa wood was gone over with HobbyLite filler to fill in all laser cuts. After a light sanding to smooth things out all balsa was sprayed with 3M Spray Adhesive and covered with left over printer paper after decals were printed out. New patterns were then drawn for all parts on the wood and cut out using an Exacto knife and hobby saw. Construction for this build went according to plans with the two main Cons: being the drawing and re-cutting of the balsa wood for the wings and tails. The cardboard air scoops were another new technique for me to try out and they turned out very nice. I simply traced the patterns for them on a empty cereal box and then cut them out. To make painting easier I used a black magic marker to color the inside of the scoops before they were glued on. Also due to the shortness of this bird it's a bit tail heavy but the addition of 1/4 oz. of clay in the nose cone fixes that. The other Con: is that I wish that I could get my hands on some decal paper as it would make for a better finish but I'm doing these builds on a tight budget and what I have readily available. Finishing was done in my standard fashion of two coats of Rust-Oleum 2x White Primmer with light sanding between coats and then two coats of Krylon Bright Red. After allowing rocket to air dry overnight decals were then clear coated and when dry cut out and trimmed and attached with a glue stick. After making sure all was dry and firmly attached rocket got two coats of Krylon Clear Gloss to seal on decals. Maiden flight was at a S.M.A.S.H. club launch again on the ever popular Estes B6-4. I was surprised at how well this rocket flew. Best flight out of all my Goonies so far. Absolutely perfect. Rocket had just tipped over and started to descend when there was a small pop and parachute was ejected. Orange 'chute was reefed with a 3" spill hole and was quite visible and came down at a good decent speed with rocket recovered down range about 40 yards or so with no damage.